December 24th 2018 - Victorian Blitz Championship, Melbourne, AUSTRALIA. December 15th-23rd 2018 - Australasian Masters, Melbourne, AUSTRALIA. December 9th-19th 2018 - Asian Continental Open Championship, Manila, PHILIPPINES. December 8th-14th 2018 - Lidums Australian Young Masters, Adelaide, AUSTRALIA. 1st= A: CM Alphaeus Ang (C), IM Paul Garbett (L). 1st B: Andrew Li (L). 1st C: Ariel Patdu (L). December 1st 2018 - Otago Westpac Trophy Open Rapid (Summer), Dunedin. November 24th - December 3rd 2018 - World Youth U-16 Chess Olympiad, Konya, TURKEY. Official website: World Youth U-16 Chess Olympiad 2018. November 17th-30th 2018 - World Senior Championships, Bled, SLOVENIA. Gold: GM Karen Movsziszian (ARM), 8.5/11 points. Silver: GM Giorgi Bagaturov (GEO), 8.5/11 points. Bronze: GM Zurab Sturua (GEO), 8/11 points. 59/104 (44=): Nigel Metge (NZL), 5.5/11 points. 71/104 (71=): CM Hilton Bennett (NZL),4.5/11 points. Gold: GM Vlastimil Jansa (CZE), 9.5/11 points. Silver: GM Yuri Balashov (RUS), 9.5/11 points. Bronze: GM Nukhim Rashkovsky (RUS), 8.5/11 points. 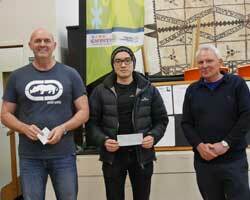 125/178 (103=): Grant Kerr (NZL), 5/11 points. 148/178 (144=): FM Bob Gibbons (NZL), 4/11 points. 169/178 (158=): Tony Booth (NZL), 3.5/11 points. Gold: WGM Elvira Berend (LUX), 8.5/11 points. Silver: WGM Tatiana Grabuzova (RUS), 8/11 points. Bronze: WGM Galina Strutinskaia (RUS), 8/11 points. 16/24 (12=): CM Helen Milligan (NZL), 5.5/11 points. Gold: GM Nona Gaprindashvili (GEO), 8.5/11 points. Silver: WGM Valentina Kozlovskaya (RUS), 8/11 points. Bronze: WIM Ludmila Tsifanskaya (ISR), 7.5/11 points. November 3rd-16th 2018 - World Cadets U8, U10, U12 Championships, Santiago de Compostela (Galicia), SPAIN. More information in Official Website. Applications for official NZL places to be lodged with NZCF Councilor Ying Wang, email: ywang@outlook.co.nz by 1st July 2018. Departing from past practice, NZCF now charges an extra $60 administration fee per player/accompanying person above organisers charges. Gold: Yueheng Jin (CHN), 9/11 points. Silver: Erick Zhao (USA), 9/11 points. Bronze: Maksim Volkov (RUS) 8.5/11 points. 85/205 (68th=): Felix Xie (NZL) 6/11 points. Gold: Samantha Edithso (INA), 9/11 points. Silver: WCM Alexandra Shvedova (RUS), 8.5/11 points. Bronze: WCM Yining Chen (CHN), 8.5/11 points. 62/119 (51st=): Anya Thurner (NZL), 5.5/11 points. November 2nd-12th 2018 - 9th Asian Senior Championships, Tagaytay, PHILIPPINES. Congratulations to CM/WFM Helen Milligan, Asian Seniors Women's Champion (Standard and Blitz). CM/WFM Helen Milligan, Asian Seniors Women's Champion. Standard 50+ Silver IM Petronio Roca (PHI) left, Gold IM Chito Garma (PHI) centre, Bronze FM Oleg Rinas (KAZ) right. Standard 65+ Bronze Rosendo Bandal, Jr (PHI) left, Gold GM Eugenio Torre (PHI) centre, Silver Cesar Caturla (PHI) right. Casto Abundo, official, far left. Standard Women Silver Almagul Chakeyeva (KAZ) left, Gold CM/WFM Helen Milligan (NZL) centre, Bronze Milagros Emperado (PHI) right. L-R: Phili Park-Tamati, Matthew Chen. L-R: Jack Chen, Ruichen Wang, Hannah Xu. L-R: Michael Ma, James Qin. October 20th-31st 2018 - Pattaya Open, Bay Beach Resort, Pattaya, THAILAND. October 15th - 24th 2018 - ACO World Senior Chess Championship, Crete, GREECE. Bob Mitchell, Group E (1401-1600) ACO World Senior Chess Champion 2018. October 19th - 31st 2018 - World Youth U14, U16, U18 Championships, Halkidiki, GREECE. It is possible to play in both this championships and preceding Rapid/Blitz. Link to official website and entry form. Applications for official NZL places to be lodged with NZCF Councilor Ying Wang, email: ywang@outlook.co.nz by 31st May 2018. October 16th - 20th 2018 - World Youth U14, U16, U18 Rapid and Blitz Championships, Halkidiki, GREECE. It is possible to play in both this Rapid/Blitz and following main championships. Link to entry form and Official website. 1st=: Phili Park-Tamati, Benjamin Agnew. under900 1st=: Adam Ali, Jack Chen. October 1st-11th 2018 - Millennium NZ Chess Festival, Palmerston North. September 29th - October 3rd 2018 - South Island Championship, Christchurch. Link to entry forms in NZCF website (pdf documents): Championships, Rapid, Lightning. Follow on Vega: Championships, Rapid, Lightning. 1st: FM Stephen Lukey (South Island Champion). 2nd=: Nick Cummings, Clinton Wells. 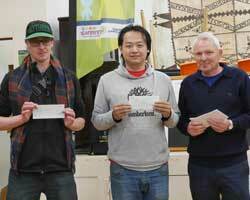 1st=: CM Edward Rains (South Island Rapid Champion), Clinton Wells. 2nd=: Stephen Taylor, Robert Clarkson, Matthew Ashton. 1st: Matthew McNabb (South Island Lightning Champion). September 29th-30th 2018 - Interschools Finals, Mount Maunganui. Venue: Mt Maunganui College, 564 Maunganui Rd, Mt Maunganui. Organiser: The Mount Chess Club. Contact: Bob Smith 0274786282 or Viv Smith 02121623342, or landline 075755845. This is an Interschools event. Follow on VegaTeam: Secondary, Intermediate, Primary. September 26th 2018 - Auckland Interschools Finals, Auckland. The winners of the Interschools events in the Auckland region (East, West, South, Central, North Shore) are invited to take part in the Auckland Finals. Teams which have qualified for this event will be informed by the organiser, Dr. Helen Milligan (heligan@heliganchess.nz). Enquiries should also be emailed to her. Closing date for schools to confirm their participation: 5th September. Follow on Orion: Secondary, Intermediate, Primary. September 19th 2018 - Auckland Catholic Primary Schools Chess Competition, Auckland. Venue: Saint Paul's School, 498 Don Buck Road, Massey. Organised by Saint Paul's School. Follow on Orion: Championship, Beginners. September 17th 2018 - Canterbury: Individual Schools Competitions, Christchurch. September 4th-16th 2018 - World Junior and Girls U20 Championship, Gebze, Kocaeli, TURKEY. September 9th 2018 - 20th Bay of Plenty Students' tournament, Tauranga. Organised by Tauranga RSA Chess Club and Mount Maunganui RSA Chess Club. September 8th 2018 - Auckland Chess Association Lightning Teams, Auckland. Blitz time control Round Robin matches between teams from clubs where each match between teams is played using the Scheveningen system. Full results on Vega: ACA Lightning Teams. L-R: Martin Dreyer, Ben Hague, Daniel Gong, Ewen Green. Howick-Pakuranga Chess Club team, Winner on 52.5/64 game points. September 5th 2018 - Auckland Chess Association Jenkins Trophy match, Northcote, Auckland. Organised by Auckland Chess Association and hosted at North Shore Chess Club. Single game match between teams of 20 players from 2 clubs, Howick-Pakuranga Chess Club (challenger) and North Shore Chess Club (defender). Jenkins Trophy was successfully defended by North Shore, 13-7. Follow on Vega: Jenkins Trophy. Open: 1st=: Phili Park-Tamati, Krystal Lal. Under 900: 1st=: Joseph Xin, Jack Chen. September 1st 2018 - Otago Westpac Trophy Open Rapid (Spring), Dunedin. August 23rd 2018 - Canterbury: Primary, Intermediate, and Secondary Girls' Teams, Christchurch. Results and more information by organisers, Canterbury Inter-School Chess. August 20th, 21st, 22nd, 24th 2018 - Canterbury: Primary and Intermediate Social Competitions, Christchurch. August 19th-26th 2018 - 12th Asian Dragons International Chess Tournament, Taipei, TAIWAN. More information online by Asian Chess. Printable tournament information (pdf document). Follow on Chess-Results.com: Open, Under16. August 17th-27th 2018 - 15th Malaysian Chess Festival, Kuala Lumpur, MALAYSIA. More information online by datchesscenter.net. Printable tournament information (docx document). Follow on Chess-Results.com: Open, Challengers, Seniors. August 17th-26th 2018 - Asian Junior and Girls Championship, Ulaanbaatar, MONGOLIA. More information online at ajcc2018.mongolchess.mn. Printable tournament regulations (pdf document). Follow on Chess-Results.com: Open, Girls. August 10th-17th 2018 - Asia Pacific Youth International Open, Taoyuan, TAIWAN. Event report in Asian Chess, by Peter Long. August 1st-10th 2018 - 3rd Eastern Asia Youth, Shanghai, CHINA. August 7th-13th 2018 - World Junior Chess Championship for the Disabled, Crowne Plaza Philadelphia-Cherry Hill, New Jersey, USA. August 1st-12th 2018 - Eastern Asia Juniors and Girls Championship, Jengson, SOUTH KOREA. August 8th-10th 2018 - Bay of Plenty Primary, Intermediate & Secondary Interschools, Tauranga. July 27th- August 4th 2018 - Asian Nations Cup Chess Team Championship, Hamadan, IRAN. Iran and China are Asian Nations Cup Champions! by asianchess.com. Waikato Champion, NM Graeme Spain. Waikato Junior Champion, Michael Lin. L-R: Lara Heppenstall, Michael Lin, Joel Crombie, Gary Judkins, CM Hilton Bennett. July 7th-15th 2018 - World Team Chess Championship 50+, 65+, Radebeul (Dresden), GERMANY. Final standings: 50+ Section, 65+ Section. July 7th-15th 2018 - 14th Asian Schools Chess Championship, Colombo, SRI LANKA. Link to report by Asian Chess Federation. Full results on: Chess Results. July 1st - July 8th 2018 - FE 10 Ischia Isola Verde, Forio, Ischia, ITALY. June 25th - July 4th 2018 - Commonwealth Chess Championships, New Delhi, INDIA. Raivath Mallela in under 12 Open. Full results on Chess-Results.com: Under 12 Open & Under 10 Girls. 1st: FM Ben Hague, on 7.5/8. 2nd: Oliver Dai, on 6.5/8. 3rd: Terry Shen, on 6/8. 4th=: Raj Balakeyan, Paul Spiller, on 5/8. 6th=: John Pakenham, James Benson, Anthony Booth, Hannah Xu, Pasindu Jayawickram, Jay Zhao, on 4.5/8. June 28th - July 2nd 2018 - Gold Coast Open, Arundel Hills Country Club, Arundel, Queensland, AUSTRALIA. More details on event webpages. June 30th 2018 - Upper Hutt Open "25 + 5" Tournament, Upper Hutt. Printable tournament Entry Form (pdf document). Follow on Vega from NZCF website: A Grade, B Grade, C Grade, Junior Grade. 1st: FM Ben Hague, on 5/6. 3rd=: FM Scott Wastney, IM Russell Dive. 1st: Edgar Benitez, on 4.5/6. 2nd=: Sol Ross, Akshay Sharma. 1st: Alexandre Patenotte, on 6/6. 2nd=: Michael Sole, Paul He. 1st: Joshua Langford, on 6/6. 3rd=: Joshua Knowles, Jason You. June 18th-28th 2018 - 19th ASEAN+ Age-Group Championships, Davao City, PHILIPPINES. An ASEAN Chess Confederation Event. Information Brochure and Entry Details. ASEAN Chess Confederation on Facebook. June 26th 2018 - Canterbury: Primary and Intermediate, Christchurch. June 21st-25th 2018 - World Cadets U8, U10, U12 Rapid & Blitz Chess Championships, Minsk, BELARUS. June 24th 2018 - 19th Bay of Plenty Students' tournament, Tauranga. 1st on 6/6 points: Josia Vickers. 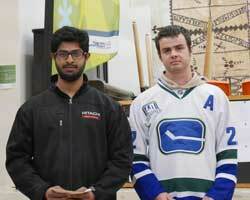 2nd= on 5/6 points: Leo Kim, Michael Tran, Shahmat Mahin. Matthew Chen, Krystal Lal, Joe Wang. June 13th 2018 - Bay of Plenty Girls Chess Championship, Tauranga. Link to Details and Entry Form. This is an Interschools event. Follow on Orion: South Auckland Primary. Follow on Orion: South Auckland Intermediate. L-R: FM Ben Hague, Linda Cooper, FM Bob Smith, FM Alexei Kulashko, FM Mike Steadman, John Francis. L-R: CM Allen Fan, FM Daniel Gong, Nunilon Fulo III. L-R: P Prabhu Kiran, Nathan Goodhue, Sean Christian Goh, CM Helen Milligan, John Francis. L-R: Ethan Goh, John Francis. L-R: Linda Cooper, Erwin Koestanto. L-R: Owen Jin, Timothy Ha. L-R: Jie Gong, Bob Smith. L-R: Linda Cooper, Pasindu Y S Jayawickrama, Allen Weng, Ryan Fan. Intermediate: Link to Details and Entry Form. Secondary: Link to Details and Entry Form. Follow on Orion: North Shore Primary. Follow on Orion: South Secondary. May 17th 2018 - Central Auckland Intermediate and Secondary Interschools Regional Qualifier, Auckland. Follow on Orion: Central Intermediate, Central Secondary. Follow on Orion: Central Primary. May 13th 2018 - 18th Bay of Plenty Students' tournament, Tauranga. April 20th-29th 2018 - World Schools Individual Championships, Durres, ALBANIA. Isabelle Yixuan Ning, Under 9 Girls. April 13th-21st 2018 - 18th Bangkok Chess Club Open, Regent Cha-am Beach Resort, THAILAND. Details, entries and hotel reservations: http://bangkokchess.com/. Follow the event on Chess Results: Open, Challenger. April 12th-17th 2018 - Kathmandu Open Chess, NEPAL. 1st IM Harsha Bharathakoti (India) on 7.5/9 points. 1st Open, Euan McDougall on 5/6 points. 1st U900, Joseph Xin on 5/6 points. April 1st-10th 2018 - Asian Youth U8, 10, 12, 14, 16, 18 Championships, Chiangmai, THAILAND. April 8th 2018 - 17th Bay of Plenty Students' tournament, Tauranga. 1st on 6 points: Josia Vickers. 2nd= on 5 points: Jun Yun, Leo Kim, Shahmat Mahin, Seok Hyeon Hong. March 29th - April 2nd 2018 - Doeberl Cup, Canberra, AUSTRALIA. CM Hilton Bennett & Sravan Renjith, in Premier. Kendrick (Kenny) Zhang, in Minor. March 30th - April 1st 2018 - Wellington Open, Wellington. Full results on Vega from ACC website: February Open, February Under900. January 11th 2018 - New Zealand Blitz Championship, Palmerston North. January 10th-11th 2018 - D&D New Zealand Rapid Championship, Palmerston North. January 1st-9th 2018 - MillenniumHotels.com New Zealand Open, Palmerston North. January 1st-9th 2018 - NZ Major Open, Palmerston North. 2nd - 4th, 7th - 9th January 2018 - New Zealand Junior Open Championship, Palmerston North. 2nd - 4th, 7th - 9th January 2018 - Palmy Knights Open, Palmerston North. January 6th 2018 - TAB Terrace End Trans Tasman Blitz Match, Palmerston North. Videos: See New Zealand Chess News Facebook page (no login required) for videos of the games. January 5th-6th 2018 - Manawatu Rapid, Palmerston North.